Most New Englanders have fond memories of their first family vacation to Lake Winnipesaukee, New Hampshire’s largest lake and one of its most popular tourist destinations. And, today there’s still 69 square miles of watery reasons to pack up the car and kids, and get away to this New Hampshire staple. Wandering the streets of Wolfeboro, boating to Bear Island, taking in a show at the Winnipesaukee Playhouse, or soaking up the sun on famous Weirs Beach are just a few of the “must-dos” you’ll want to include on your Lake Winnipesaukee family vacation bucket list. And, no family vacation is complete without a family-friendly lodging - here are some of the best! Serving up lakeside fun since 1935, the historic Naswa Resort has become a Lake Winnipesaukee tradition for generations of families. And, with a 1,000-foot private sand beach, boat slips, and live entertainment overlooking the lake, there really is no better place to bring the family together for an unforgettable get-together. Spend the day boating, beachcombing, and dining on the delights of the Blue Bistro and the renowned NazBar & Grill. And, best of all, Weirs Beach is just steps away! More than your typical Lake Winnipesaukee lodge, Mill Falls at the Lake is more like a village. And, sometimes it takes a village to host a perfect family vacation! This historic destination located on the shores of the lake boasts four charming inns, seven delicious restaurants, the boutiques of Mill Falls Marketplace, and the luxurious treatments of the Cascade Spa. And, as if that's not enough, there's an endless array of water sport activities to keep the entire family busy! 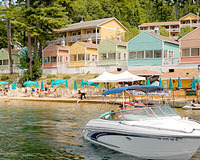 Home to indoor and outdoor pools, saunas and Jacuzzis, basketball and tennis courts, shuffleboard and volleyball, and a 335-foot stretch of private sandy beach, the Lake Winnipesaukee favorite Misty Harbor Barefoot Beach Resort has something for every member of the family to enjoy. And, even if it doesn't, there's bound to be something for them to enjoy nearby. After all, Tilton shopping, the Meadowbrook Musical Arts Center, water parks, golfing, and the famous Weirs Beach are all close by! Situated only a short distance from the waters of Lake Winnipesaukee, the Summit Resort really is the summit of family lakeside accommodations. Let the whole family lounge in spacious suites with room for up to six guests, full kitchens, and dining areas. And, everyone will love the 25,000 square foot Amenity Center - home to pools, water slides, and a fitness center - and the recreation of the lake and the nearby White Mountains! At The Lake's huge collection of vacation rentals features something for each and every family! Whether you're in the market for luxury, waterfront, or a good old-fashioned cottage, you can find what you're looking for here. Once you've gotten settled into your exquisite property, show your family the glories of Lake Winnipesaukee! In addition to the lake itself, there are nearly 300 lakes, ponds and streams in the area, surrounded by hills and mountains aplenty. Mountain biking, fishing, shopping- the area is chock full of fun and ideal for any family looking for a good time! 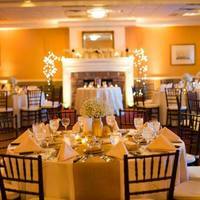 Make some picture-perfect family memories at the picture-perfect Wolfeboro Inn! Whether you play games together next to the massive stone fireplace in the lobby, enjoy a traditional New England dinner at the authentic Wolfe's Tavern, or spend the day boating and swimming on the sparkling waters of Lake Winnipesaukee, you and your family are sure to have a New Hampshire getaway of a lifetime. Take a rejuvenating stroll around the beautifully-manicured grounds, and enjoy lake views from your room!